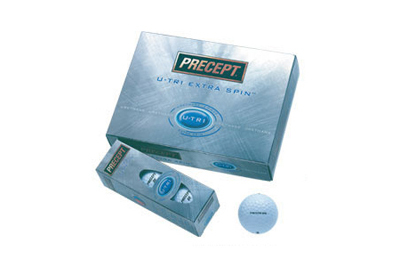 Precept u tri extra spin branded Zhongyi golf balls. Price below is for each golf ball with printed logo in one position. Packaged in dozens with each ball individually boxed.